A car dealership in Milton Keynes has been evacuated after vehicles stored on the business' roof plunged through to the workshop below. Jardine Motors Audi keeps cars on the back of its 2,000 square metre roof, which covers the workshop. A third of the roof gave way just after midday on Monday (1 June), resulting in 20 cars falling through into the main building. No one was hurt in the incident but it illustrates the importance of car dealerships having a high quality combined motor trade insurance policy. First and foremost this will protect a business' stock - the cars it is selling - in case they are damaged or stolen, but it will also provide insurance for the business premises itself and can include cover for both the members of staff and customers on site. Jason Cranswick, commercial director of Jardine Motors Group, which owns the dealership, said: "There was a bang, at which point one of the managers set off the fire alarm, and it was after everybody was evacuated that the collapse occurred." The cars that fell through the roof belonged to customers - they were stored on the roof, which is accessed via a ramp, while waiting for repair works. The dealership said it will be contacting customers whose cars have been damaged. 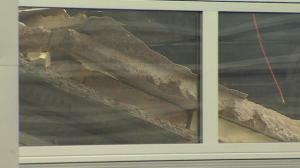 Milton Keynes council building control inspectors are investigating why the roof fell in.